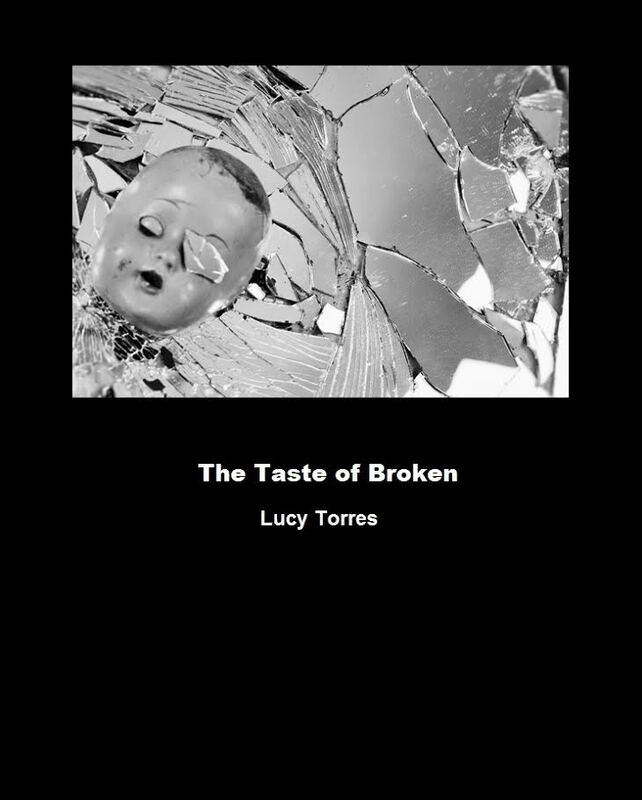 We were so fortunate to have recently met, Lucy Torres, who is the author of, The Taste of Broken, a beautiful collection of poetry describing her endometriosis journey. We were so inspired by her words that we wanted to share a little bit about Lucy and her book with you. I know you will enjoy reading, The Taste of Broken, as much as we did. Please tell us about, The Taste of Broken, and what inspired you to write it. As a plus-size writer/artist/activist who has undergone many medical challenges due to endometriosis, women’s issues are at the core of my activism. This is the impetus with which I recently e-published The Taste of Broken, a poetry book regarding my experiences with endometriosis, loss, and love. Endometriosis is still a relatively taboo illness and my aim is to uncover and explore its complexities as it relates to women. I felt very lonely in my journey and feel this book can speak to those enduring as I have and not only comfort but empower. Although the book is an exploration of this illness, it is ultimately a journey of unwavering strength and joy despite pain and hardship. How long have you been writing? Is poetry your specialty? I’ve been creating stories and tales since early childhood. I’ve been a wordsmith and creator ever since I can remember. During your endo journey, did you do any journaling or poetry writing? If so, how did that help you cope with overcoming this difficult situation? I wrote about my experiences in piecemeal fashion and whenever I was able to get past the pain. So many told me to write about what I was enduring but penning the experience can be equally as agonizing as enduring it. The pain was so overwhelming and disheartening that I often felt my voice as a writer was lost, that it would never come back. I persisted and finished TTOB in 2012 when I finally felt healthy again. I really love how you began your book with the word, “love”. This comes right before, “downfall of the self” poems. During this time in your life, was it difficult to feel love? I am incredibly fortunate to have the most powerful and loving support system anyone could ever hope for. I cannot imagine getting through this struggle without my family and friends, and for that, I will be eternally grateful. I want to deep dive into a few of the poems. I like how in the poem named, “Return.” you talk about being proud to be yourself. I think many times when women go through endo, it can be hard to feel that sense of self-love and pride. Any tips for the readers out there who are struggling? Throughout my life, I have wrestled and battled with self-love and acceptance. Even at 35, I find myself fighting insecurity nearly at every turn. When I was diagnosed with PCOS at 20 and then endometriosis at 26, I was completely unaware of what was looming over me. Endometriosis and infertility strip you of many things, and the sense of loss can heavily affect one’s self-perception. I have felt love surround me throughout, but it’s very difficult to love one’s own body when one feels betrayed and isolated by it. In the ten-year span in which I’ve faced this illness, I’ve come to love how tenacious, strong willed and determined I am in spite of the debilitating pain. It has allowed me to be introspective and be proud of the qualities that make me the unwavering warrior that I am. However, the obstacles will present themselves, and fruitfully at times. Just a year after finishingTTOB, my life completely changed when I hit my third and thus far, most severe flare up. I did my research and knew the treatment my gynecologist (at the time) was giving me could be dangerous. It wasn’t until I had deep laparoscopic excision surgery by the incredible and truly amazing endometriosis specialist Dr. Tamar Seckin that I felt relief for the first time in years. That surgery granted me the relief and respite from endo to live a normal and healthy life and I am indubitably indebted to Dr. Seckin. The last poem in the book, Prologue 2012, is so beautifully worded(as are all the poems). But, when I read this poem, I felt hopeful. After enduring what you went through, do you feel a sense of hope now for the future? In the four years since that surgery, I got pregnant, miscarried, suffered post-partum depression. And my story continues as I am now going through my fourth flare up. I’m still fighting with every fiber of my soul. It’s not easy, and staying positive is an effort in patience, self-love, kindness, and acceptance. What drives me is the need to get the words down and out into the world, because I know how frightening and overwhelming it can get, and I want others to feel accompanied and empowered by our shared struggle and sisterhood. I’m also hopeful and excited to see where my writing will take me. TTOB was recently adapted into an experimental experience/performance art piece and the show just finished a weeklong run at Lehman College. A second adaption will be hitting the NYC performance art scene later this year and I’m ecstatic about what’s to come. Any advice for those struggling with endo and/or infertility? You are not defective. You are perfect the way you are. You are worthy of love and happiness. Be kind to yourself. You deserve a pain-free existence. Advocate for yourself and trust your instincts. Be informed. Read, research, learn about your condition. No matter how heavy and dark it may get, be your own light and keep fighting. We warriors are bonded though disillusion and agony but will emerge: You are not alone. Where can readers purchase, The Taste of Broken? Where can readers go to learn more about you and any updates that you might have on your writing? The Taste of Broken is available on Lulu, Kindle, Nook & Kobo. I’m currently working on my second book of poetry, which picks up where TTOB left off, and is set to release sometime late 2017/early 2018. You can find me on Facebook or at: lucytorres.co.